Reports say fishermen can look forward to a few more decent years of catching stripers. Juvenile counts in the Chesapeake Bay have been above average for 10 of the last 20 years, but were below average between 2012 and 2014, with 2012 having the lowest count on record. “So we’ll have good fishing the next few years until the 2011 year class is fished out and then we’ll have a little decline and then that 2015 year class should move through,” Mr. Nelson said. Atlantic striped bass inhabit coastal waters between the Gulf of Mexico and the Saint Lawrence River, returning to rivers and estuaries to spawn in the spring. Females take four to six years to mature, while males take two or three years. The oldest striped bass on record is a 31-year-old female from the Chesapeake Bay. Some biologists believe that a decline in recruitment in the bay between 2004 and 2010 was the result of less rainfall, since cold, rainy springs tend to produce larger year classes. The young-of-year index hit 34.6 in 2011, the fourth highest count on record, but Mr. Nelson said the cause was a mystery, as was the decline in 2012. 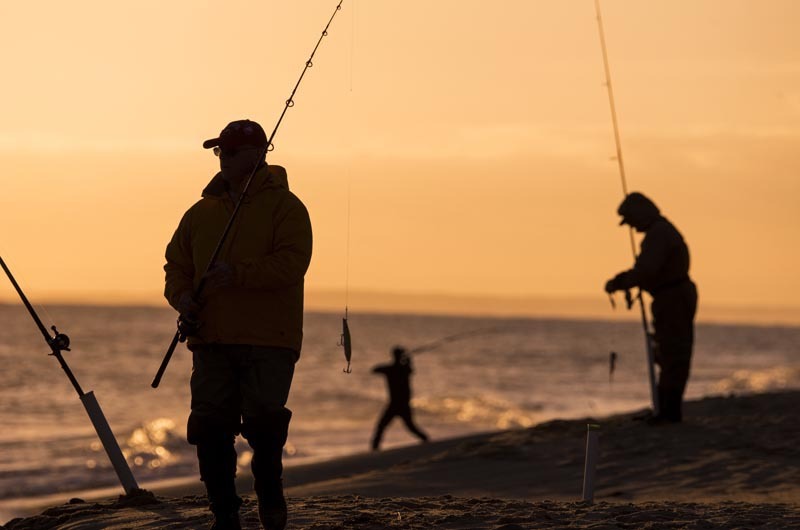 The Atlantic States Marine Fisheries Commission last year approved new catch limits and commercial quotas for striped bass along the coast in an effort to protect the spawning females and encourage larger year classes. A stock assessment this year by the ASMFC projected a slightly slower decline than was previously charted. But if a stock assessment next summer shows further improvements, then states may want to revert to the old regulations. Mr. Nelson said communities in the Chesapeake Bay in particular were pressing for softer regulations, since the fish there are generally smaller and people have observed an abundance this year. The larger fish usually leave the bay by springtime and make their way up the coast. I guess it depends on how you define "decent", but the last few years have not been good..